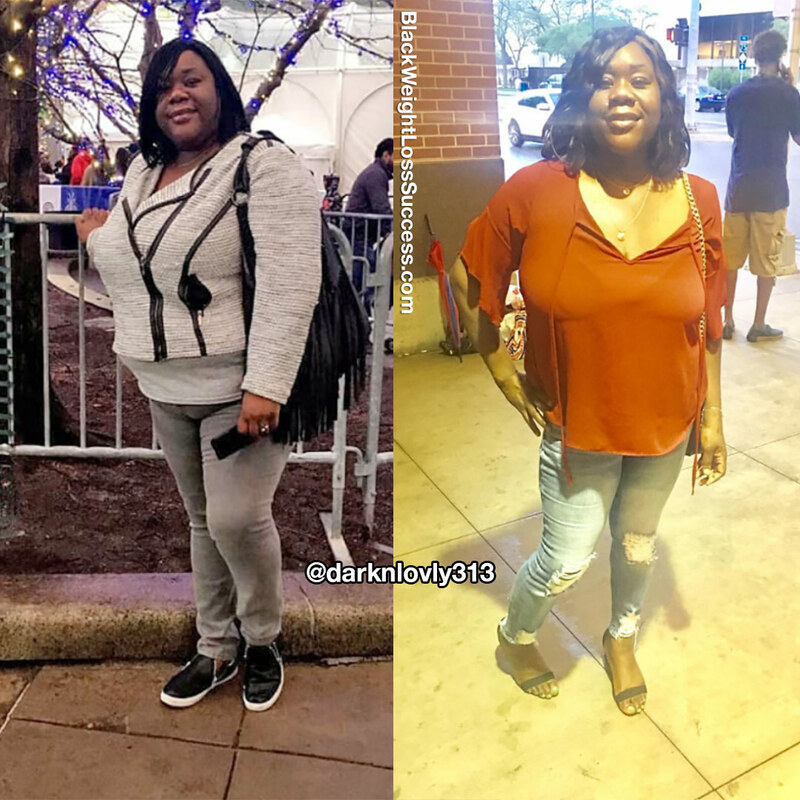 Transformation of the Day: Jamcia lost 117 pounds. At a doctor’s visit she realized that she gained 29 pounds in a year. That was her turning point. She took action by tracking her calories with MyFitnessPal, and working out at home and during lunch breaks at work. Check out her story. My motivation to lose weight when I went to the doctor and found out that I gained 29 pounds in a year. I started out by cutting carbs. I stopped eating chips and French fries. I also used my MyFitnessPal account to count calories. I stuck to 1200 calories a day. My workout routine started off with just walking on my lunch break at work. Then I started walking for 30 minutes after work. Now I work out six days a week in the home gym that I created doing 45 minutes of cardio and 20 minutes of core work. My starting weight was 329 pounds. I currently weigh 212 pounds. I started my Journey on April 6, 2017. My biggest lesson: Never be afraid of change. I’ve also learned to try something different and get out of my comfort zone. 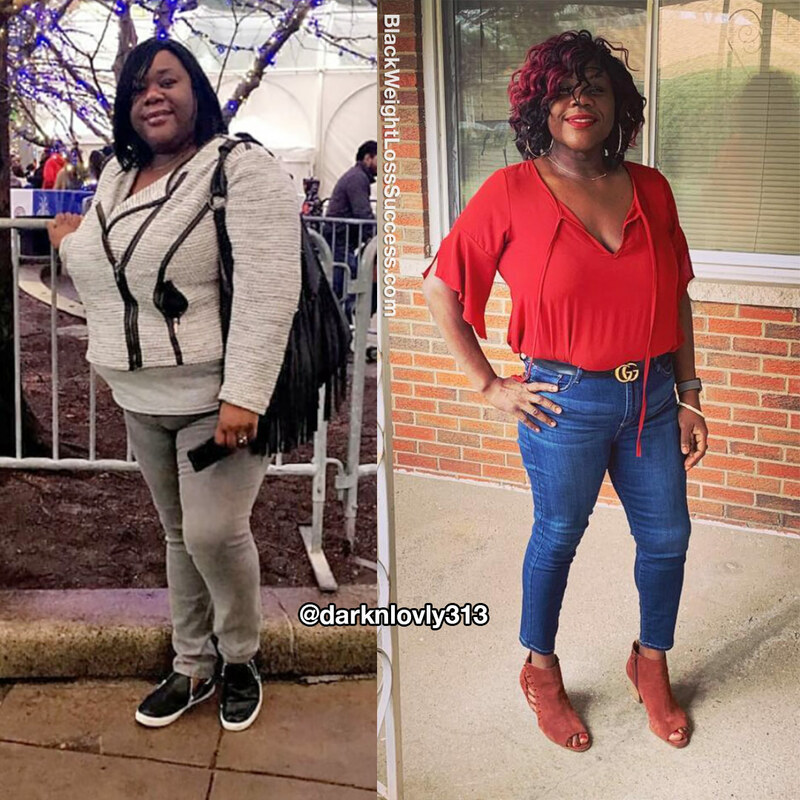 What advice would you like to share with other women who want to release the weight? Don’t let other people tell you how to get healthy. Figure out what works for you and stick with it. Enjoy the journey. Remember, it’s not a diet. It’s a lifestyle change. Transformation Tuesday this picture on the left was the first Time I realized how fat I had gotten. I have always loved myself and the skin I was in . But I knew I had to make a change for the better. I start slow and kept going no diets or quick fixes. Just hard work eating healthy and working out. A year and half later I’m not only mentally but physically I’m in such a different place than I was back then. I thank God , my son ,my Doctor and friends who encouraged me to do better. It’s life Style change that you have to dedicate yourself to . If you want it you can achieve it.